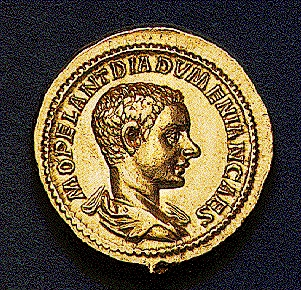 Marcus Opelius Diadumenianus was the son of Macrinus who was the Prefect of the Praetorian Guard who played a master role in the assassination of Caracalla in 217 AD. Diadumenian was born in 208 AD and was given the rank of Caesar at the same time his father was proclaimed Emperor by the Praetorians and later confirmed by the Senate. Macrinus did not disturb Julia Domna who was Caracalla’s mother and Septimius Severus’ wife. When Julia refused to stay out of politics, Macrinus ordered her to leave Antioch. Instead, Julia starved herself to death. It is most likely it was only a matter of time before she would die of cancer in any event. 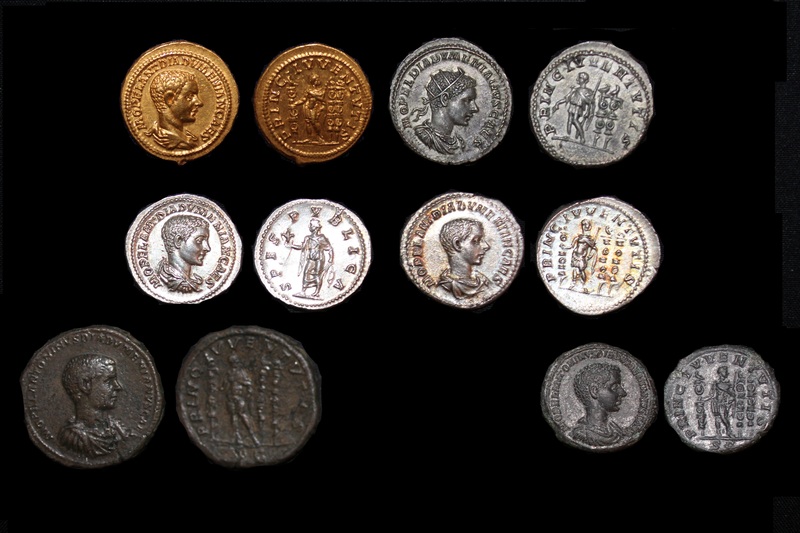 The ambitions of the Severan women are legendary. Julia’s sister, Julia Maesa, had plans of her own. She fostered a rebellion among the Syrian troops in favor of her grandson Elagabalus. Macrinus, then raised Diadumenian to the rank of Augustus and used the occassion to distribute a donative in hopes of winning over the loyality of the troops. This failed and Macrinus fled Antioch but was pursued by the rebels, overtaken, captured and executed. Diadumenian also fled in the direction of Parthia but he too was captured and executed.